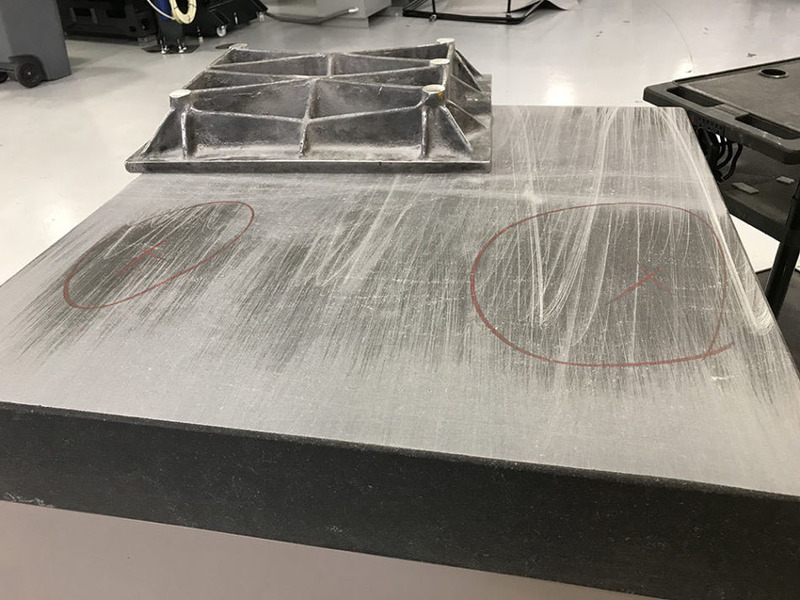 a level of unsurpassed customer service, and the most competitive pricing for granite surface plate calibration/relapping to companies throughout Ohio. By the early nineties, DOX Calibration became one of the most recognized names for granite surface plate calibration east of the Mississippi. DOX Calibration has revolutionized the industry with time tested procedures and an unmatched dedication to quality. Eighteen years later, DOX Calibration has expanded their scope of capabilities to include a full portfolio of service options. The company’s knowledge of the quality industry and its members has enabled DOX to hire only the best technicians, instructors, and managers. DOX currently employs individuals with an average of ten years work and training experience from the Original Equipment Manufacturer, (OEM), who is committed to quality and maintaining close attention to details. The integrity of the company demands that DOX Calibration only repair or calibrate CMM’s, optical comparators, or vision systems, that the field service engineers are trained and qualified to operate and repair. DOX always informs their customers of their specific capability limitations, and will never exceed their documented calibration limitations. Overall flatness: All points of the work surface of a DOX calibrated surface plate are contained between two parallel planes, the base plane and the roof plane, and are separated by an acceptable distance as set forth in Federal Specification GGG-P-463c, PAR 3.3.4 DOX utilizes two precise instruments to inspect the overall flatness. The Planekator method is based on the Geometric Theory, a plane is determined by two intersecting straight lines.